Venice Beach is famous the world over for being the playground by the sea for Southern Californians. It is especially well known for its eclectic oceanfront boardwalk. The beach itself offers prime surfing and sunbathing opportunities as well as a plethora of recreational activities such as beach volleyball, paddle tennis, bike trail access, and more. Here are the best things to do in Venice Beach, California. Venice Beach is a popular stretch of sand receiving millions of visitors each year and is known for being an eccentric and buzzing place. The beachfront includes a boardwalk that runs parallel to the ocean and many attractions line it, including paddle tennis courts, a skate dancing plaza, several beach volleyball courts, handball courts, a bike trail, and many interesting shops, cafes, and restaurants. The southern part of the beach has a 1,300-foot concrete fishing pier. 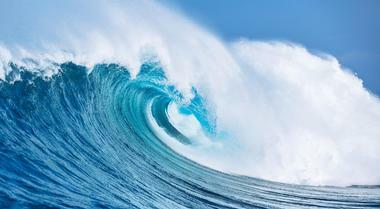 Additionally, the Venice Breakwater on the north side of the pier is well known as a surfing spot. An eclectic variety of events are scheduled on Venice Beach throughout the year. Electric Lodge Performing Arts Center is a theater and performing arts center and producing venue. The space features a black box theater, a dance studio, a rehearsal space, and a commercial kitchen. 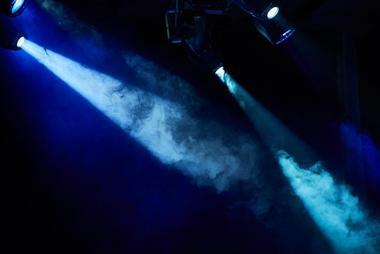 The theater offers a robust calendar of performances and events. In addition, the Electric Lodge frequently hosts special workshops on acting, self-empowerment, and other topics. They also offer affordable community classes in dance, music, art, and other subjects. 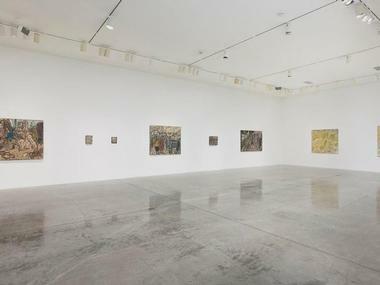 The lobby of the center is used as gallery space and typically features art exhibits that change from time to time. 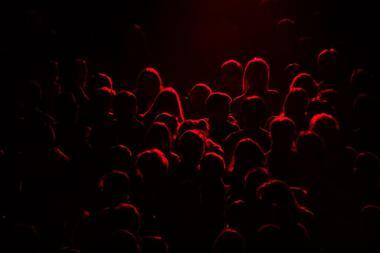 Guests to the Electric Lodge can explore the artwork, watch a show, or participate in an educational class or workshop. High Rooftop Lounge is a stylish open-air deck that serves small plates of food and specialty cocktails. 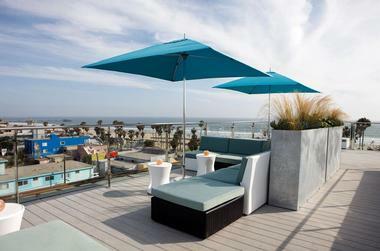 The lounge has DJs both night and day and features stunning views of the Venice Beach boardwalk. As the only rooftop bar on Venice Beach, High Rooftop Lounge offers a unique venue to take in the sweeping views of both the ocean and the city skyline. The bar features nightly drink specials and a wide selection of specialty cocktails and other beverages. In addition, there is a small but tasty range of appetizers such as sliders, crab dip, and street tacos. The stylish lounge space can be rented for private parties and business functions. 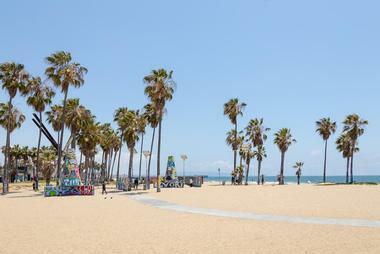 Jay's Rentals offers a selection of sightseeing tours based out of Venice Beach as well as rentals and surf lessons. The Hollywood Sign Hiking Tour is a 4-hour guided tour with two time slots daily. 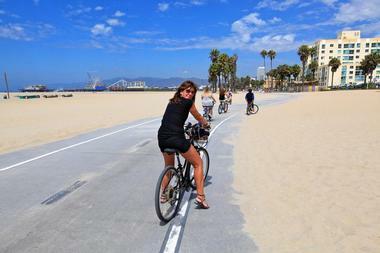 The tour passes several prominent and well-known spots between Venice Beach and the Hollywood sign. Tour guides will share historical information and interesting facts about the stars that live nearby. Guests can choose to be dropped off on the walk of fame in Hollywood if they don't want or can't make the hike all the way to the sign. The route starts at Jay's Rentals on Venice Beach, passes by the Santa Monica Pier, through Beverly Hills, up to the sign in Hollywood, and then back to Venice Beach. Legends Historic Bike Tour is a sightseeing tour that visits several well-known beachside attractions. The 2-hour guided tour plus 1 hour of free riding time mean that the 3-hour tour is a great way to explore the area and spend a half of a day, whether you are with friends or by yourself. The tour visits the iconic Santa Monica pier, travels along the famous Santa Monica boardwalk, and takes guests past homes of some of Hollywood's most famous residents. The tour will then travel through Venice Beach with a stopover at Muscle Beach. Guests will get to see the Venice canals and other interesting spots in Venice. 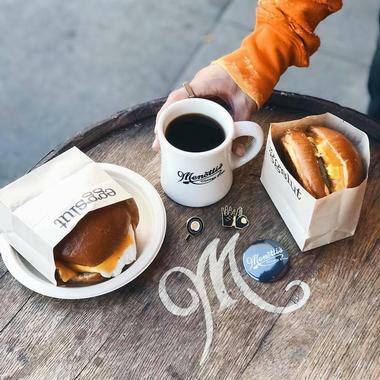 Menotti's is a hip destination to grab a light bite or a cup of coffee and take in the funky, artsy atmosphere. The cafe offers fantastic views of the boardwalk at Venice Beach and is a popular gathering spot, not only for the views but also for the fantastic coffee. The shop serves both organic and vegan coffee options and quality Four Barrel Coffee. The menu includes drink options such as espresso, flat white, cortado, Americano, and others. In addition to the coffee and views that have made Menotti's famous, the menu includes a small selection of food. A local favorite is the avocado poached eggs. The Mosaic Tile House is a tourist attraction that captures the eclectic and beautiful nature of Venice. The home is a work in progress created by husband-and-wife team Cheri Pann and Gonzalo. Cheri provides guided tours of the home. She creates the tiles herself and Gonzalo shatters them and spreads them around the home. Over the past 19 years, the tiles have come to cover practically every square inch of the surfaces in the home. 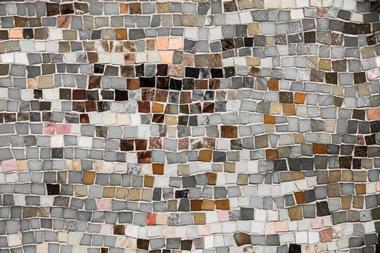 The Mosaic Tile House can be visited by guided tours that are arranged by appointment only. The home also has a gift shop. Muscle Beach was the famous site next to Santa Monica pier where athletes such as gymnasts and weightlifters would practice their skills and show off their abilities. The beach became a hot spot in the 1930s but was shut down by the city of Santa Monica in 1959. After the beach was shut down, the athletes moved to a new beach 2 miles down, in Venice. Many famous athletes have worked out at Muscle Beach, including Vic Tanny, Dave Draper, and Jack La Lanne. The Muscle Beach Hall of Fame and Walk of Fame remember and celebrate the achievements of these athletes. Sunseeker Tours offers guided tours of Muscle Beach and the surrounding area. Pacific Resident Theatre is an intimate theater run by local actors. The theater produces classics, lesser-known dramas, and new plays and has been in business since 1985. The theater hosts a fairly full calendar of shows, which range in genre and include both well-known classical productions that have been re-done as well as new plays by emerging playwrights. The calendar is available on the website as is information about each show and an online box office. The theater is also involved in performing arts education and offers both a young actors conservatory as well as acting classes. 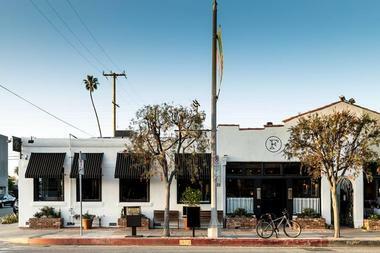 Located on Abbot Kinney Boulevard, Venice’s hippest street, Felix Trattoria is a temple to hand-made pasta, a laboratory in which chef Evan Funke makes his orecchiette, rigatoni, pappardelle, and everything else right in the middle of the restaurant in a glass-enclosed, air-conditioned space so you can watch your spaghetti being created. The traditional menu has a range of delicious antipasti, secondi, and vegetable contorni, but people come to the Felix Trattoria for the pasta. If you are not sure what to choose, try the simple but incredible trofie, bright green spirals with a basil pesto and loads of cheese. Don’t miss the incredible sfincione focaccia and cicoria salad with bitter chicory, pine nuts, dates, and a lot of cheese. Felix Trattoria is beautiful, comfortable, and elegant and the food is out of this world, so it quickly gets packed. Be prepared to wait or come early or late. Ride! Venice is an oceanfront bike rental company that specializes in renting out a variety of bikes, electric bikes, scooters, skateboards, and more. The shop offers rentals that are great for the entire family. Smaller bikes with training wheels up to BMX bikes for teenagers provide a great option for kids to join in the fun. For parents of small children, the shop has trailers and tag-alongs as well. The shop has a selection of interesting and unique specialty bikes, such as fat bikes with large 4" tires, recumbent bikes, tandem bikes, PhatCruzers, and electric mountain bikes. With special advance notice, Ride! Venice can accommodate large groups and parties. The Rose Cafe-Restaurant is a Venice Beach icon that's been around since 1979 but has been controversially re-imagined and revamped into a more modern, boho-chic concept by well-known chef Jason Neroni. The restaurant serves a selection of globally inspired and unique dishes as well as some of the original Rose favorites. 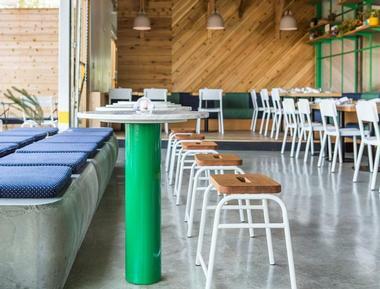 The space features both indoor and outdoor dining and has a full grocery market, a beer garden, and a bakery. The cafe serves a full menu of breakfast, lunch, and dinner as well as a wide selection of drinks including coffee, tea, juice, cocktails, wine, and beer. Schulzie's is a stand on the Venice Beach oceanfront that serves chilled bread pudding and Blue Bottle Coffee. The bread pudding is made with fresh ingredients, many of which are purchased nearby at the Santa Monica Farmers Market. Schulzie's is committed to the environment as well: The paper products they use are biodegradable and they donate their green waste to local gardeners to use in their compost. There are nearly endless flavor options. Some are classic and traditional, such as carrot cake and pineapple upside-down cake, while others are a bit more trendy and exotic, such as the Green Tea Matcha Magic and Lychee Love. Some flavor options are only offered seasonally. 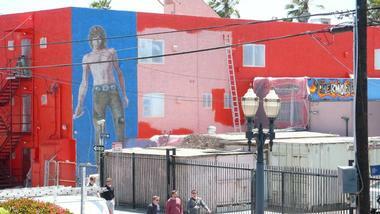 The self-guided walking tour of the Venice Murals is a popular free activity for visitors to Venice Beach. The tour starts at the concrete barrier that divides the Venice Beach Boardwalk and the parking lot on the block between Navy and Rose Avenues. Here, there is a display consisting of photographs and descriptions of Venice Beach and L.A. murals from today and times past. The walking tour takes approximately 3 hours at a relaxed pace and includes about two dozen murals. The tour will also pass by some interesting architecture as well as other forms of contemporary and/or controversial art. Small World Books is an independent bookstore offering a wide selection of reading materials. The store includes books that were run by large, well-known presses as well as smaller, lesser-known titles. The store is conveniently located right on the bustling and quirky Venice Beach Boardwalk. The staff is happy to help guests shop for the perfect book, either by looking for a desired title or by suggesting books based on other books guests have enjoyed in the past. The cozy bookstore complete with store cat and the beautiful beachfront outside provide the perfect environment for browsing books and shopping around. 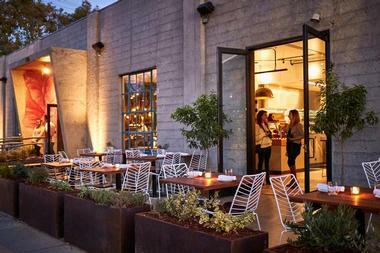 Superba Food & Bread is an industrial-chic cafe that serves California-inspired food and specializes in fresh, homemade bread and other baked goods. The all-day menu includes a robust breakfast menu and one of the cafe's specialties is avocado toast. This trendy but simple dish is topped with ripe, California avocados, a dash of chili, and spicy radish sprouts and is served with olive oil. The food is both fresh and healthy and includes several interesting entrees, such as a delicious black rice salad with pineapple and cashew and tempura-fried cauliflower. The healthy dinner entrees will allow you to indulge guilt-free in something sweet from the Superba Candy Bar. Aloha Brothers provides surf lessons for any would-be surfer, from beginner to experienced, hoping to develop their skills. The shop's experienced instructors are prepared to teach students of any age and can offer lessons in three different languages if you book in advance. 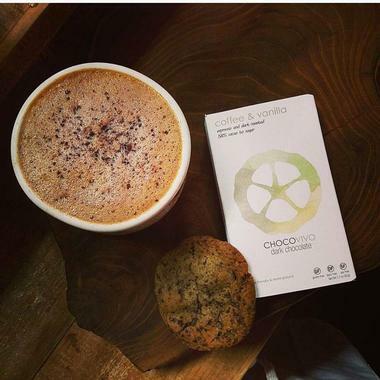 ChocoVivo is an eco-friendly chocolate-centered store and cafe that features a selection of dark chocolate products produced at their very own plantation and roastery. The chocolate at ChocoVivo is special because it is stone-ground and only comes in dark chocolate. There are no additional additives like milk powder, soy lecithin, or cacao butter. Rather, the chocolate is made from only whole cacao nibs and whole spices. The location features a chocolate tasting bar as well as several chocolate drinks and coffee. Guests can also purchase chocolate products from the retail store to take home. ChocoVivo hopes to offer tours of their plantation in Tabasco in the near future. Delish Tours is a sightseeing agency specializing in food tours. The company's Venice Beach Food Tour offers visitors the opportunity to taste a variety of street foods from several different ethnic backgrounds. Guests can chat with the restaurant owners and get an inside look at their operations. 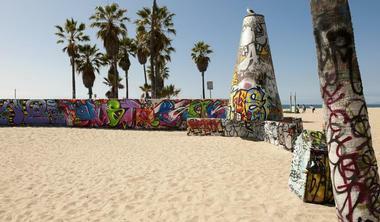 The tour guides share much of the history and culture surrounding Venice Beach, which have made it what it is today. The tour takes about 3 hours and visits five different restaurants along a 2-mile path. Each restaurant visit features food tastings. In addition to the regular tours, Delish offers customizable private tours as well. 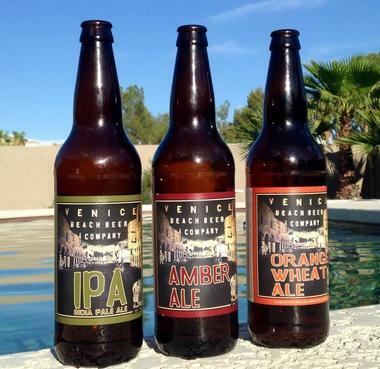 Venice Beach Beer Company is a brewery established in Venice Beach in 2010 that brews Venice Beach-inspired beers. The local company desires to capture Venice's eclectic, artsy, and hip vibe in each of their brews, therefore the beers are a bit edgy in flavor. Some examples of the company's beers include an amber ale, an India pale ale and an orange wheat ale. Beers from the company can be found on tap and in bottles at more than 100 locations in Southern California, including Bristol Farms and Whole Foods. They often participate in local events such as the LA Beerfest and more. 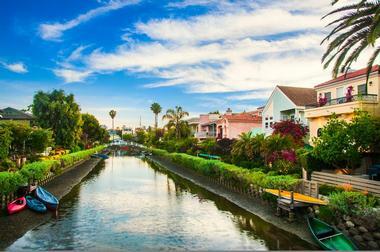 The Venice Canal Historic District is well known for its historic, man-made canals. The canals were designed in 1905 by Abbot Kinney, who wanted to turn the area into a cultural center and create an Italian-inspired “Venice of America." The canals were once home to gondolas with real, imported gondoliers from Italy. The gondolas are long gone, but the canals are still there and provide a beautiful and relaxing place to take a walk. 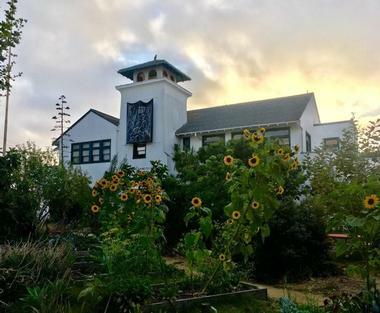 Visitors can begin the walk near the intersection of Pacific Avenue and Washington Boulevard, explore the walkways, and catch a glimpse at canal life with its interesting architecture, lovely gardens, and more. 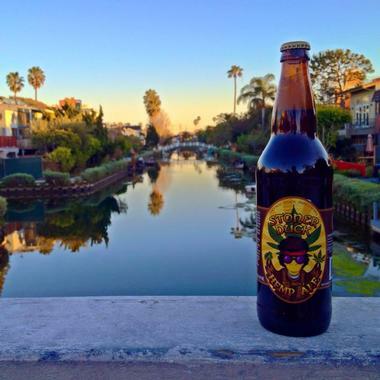 Venice Duck Brewery is a local Venice Beach brewery that brews beers inspired by the creative, high energy atmosphere of Venice. The brewery's unique name comes from a local urban legend of a guy who attended a party in the canal district and woke up on the sidewalk the next morning covered in ducks. Venice Duck beers have unique names as well, such as Ducks in a Row, Dogtown Duck IPA, Stoner Duck Hemp Brown Ale, and Lucky Duck Agave Blonde. The beers can be found at many local bars and retail shops as well as local events such as Brew at the Zoo, Cruise N Brews, and the Venice Chamber of Commerce's Evening with the Merchants of Venice. Venice claims to be the home of skateboarding. Therefore, it is not surprising that it is home to a world-class skatepark. Venice Skatepark is an oceanfront skateboarding destination complete with a sunken pool as well as a street-inspired section that includes stairs, rails, and ledges. The conveniently located Venice Skates Skateshop carries everything you need to hit the skatepark like a pro. They carry mostly locally made products from companies such as Hecho en Venice, Santa Monica Airlines, and Ace Truck Co. Venice Skatepark is a great place to show off your skateboarding skills or sit back and watch the pros do what they do best. Vintage Venice Reel to Real Tours offers in-depth tours of Venice Beach. Many movies and television shows have shot scenes at Venice Beach and the walking tour passes many of the most popular attractions while providing interesting facts about Venice's history in the film industry. The tour guide will show photographs and clips from films on iPads to bring history back to life as the tour visits each site. Guests will see the rollercoasters, piers, and canals that were characteristic of Venice years ago. The tour will explore both the popular attractions on Venice Beach and hidden treasures such as secluded streets and forgotten murals. Paddle Method is a rental and sightseeing tour company. The company specializes in stand-up paddleboarding and is an accredited stand-up paddleboarding school that offers lessons for paddleboarders of all experience and skill levels. They offer two levels of classes and a third level that is more of a guided workout than a lesson. Classes can be conducted in small groups or individually. Additionally, Paddle Method offers guided tours of the Malibu coast as well as other nearby waterways. Tour options also include a relaxing sunset tour. 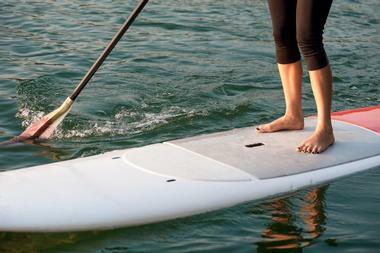 Paddle Method offers daily, weekly, and monthly rentals as well as used paddleboard sales.